Fill out the application form. 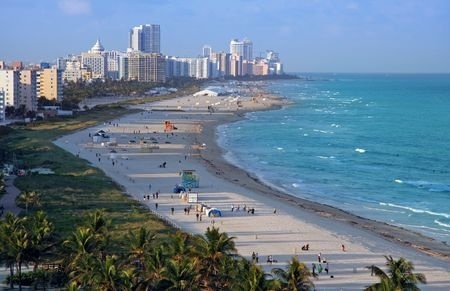 A Miami Beach Certificate of Use application form can be downloaded from the internet as a pdf file. Once the application form is filled out, submit it to the Business Tax Office branch of the Miami Beach Finance Department. Pay all the necessary taxes and fees there as well. Request for a Certificate of Occupancy from the Building Department. Wait for the result of the inspection. Obtain the Miami Beach Certificate of Use and continue on building your business. Some people might question the necessity of a Miami Beach Certificate of Use. Note that the purpose of a COU is to ensure that a business has obtained the necessary authorization to operate in the area where it is being put up. This authorization indicates that the business has complied with all the rules that fall under the district's zoning rules. The Miami Beach Certificate of Use also ensures that building is being built in accordance with the type of business that would be conducted on it. The Miami Beach Certificate of Use also ensures that the structure is not built on a location wherein it could pose a risk to the value of the real estate in the area. This restriction is most often strictly implemented in upscale residential areas. This is because the presence of a business that caters to consumers who belong to a lower financial stratum could reduce the area's worth. On the same note, putting up an upscale business in the midst of an average- or lower-scale residential area could greatly increase the cost of real estate in that zone. This could be detrimental to the possible sale of real estate property since the zone would find itself in a state of real estate limbo. By contacting an inspection company, businesses are able to ensure that they can get the inspection process over with in just 3 to 5 business days. However, there is still a possibility for the turnaround time to be extended. That's because it depends on how long it takes for the inspection certificate to be reviewed and approved by the zoning board. After inspection and verification, the Miami Beach Certificate of Use can be issued within the same day.